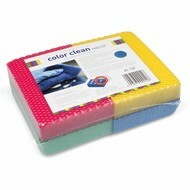 Our Color Clean-sponges comply with HACCP regulations. The polyurethane pressure spheres inside the sponge improve the force that fingers apply on the surface. Result : 4 x more cleaning power. 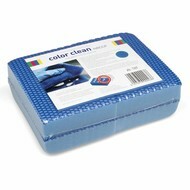 Thanks to the new revolutionary net structure the Color Clean Sponges don't damage the surface, don’t scratch and leave no fibre residues on the surface. 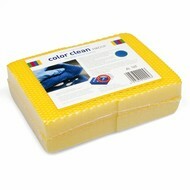 The perfect sponge for the food industry, (industrial) kitchens and restaurants.